In the margin of Airpower 2016 I made a short visit to the Militärluftfahrtmuseum at Zeltweg. This museum (situated on base) gives an overview of the Austrian Air Force since re-creation that started in May 1955 by the victorious Allied Powers after, about 10 years after the Second World War. 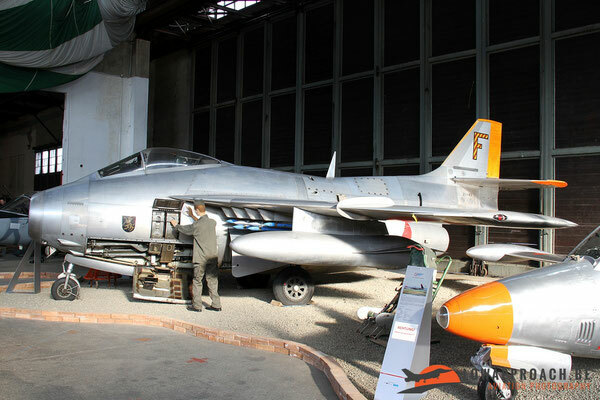 Amongst the limitations that were imposed by the Allies were the permanent neutrality of Austria and a number of restrictions in the use of guided-missiles in both the air-to-air or air-to-ground role. 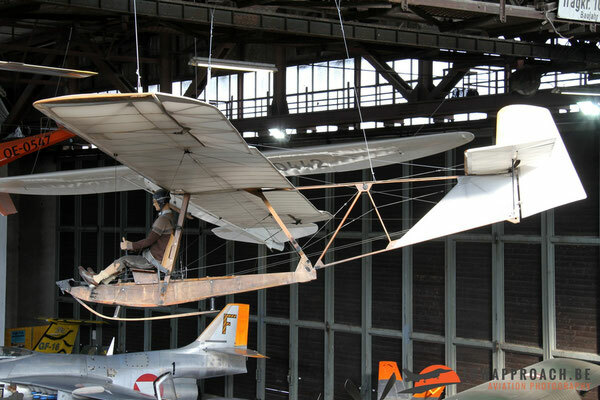 In its early days the equipment came from various sources, which means that the museum has quite a nice collection of unusual or rarely seen aircraft. 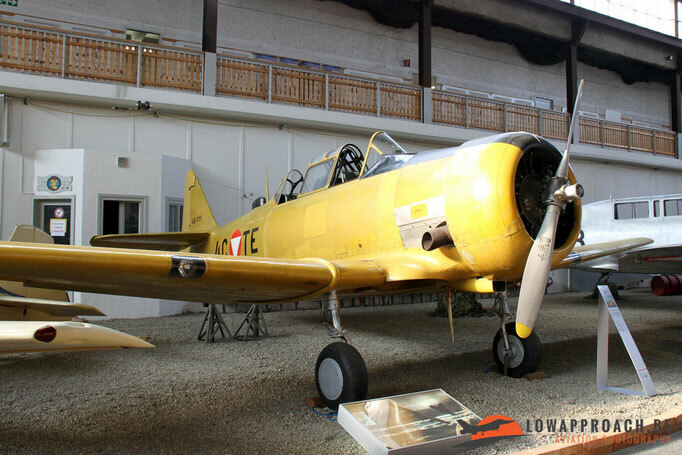 In 1955 pilot training started on a number of Yakovlev Yak 11 ‘Moose’ and Yakovlev Yak 18 ‘Max’ aircraft that were donated to Austria by the Soviet Union. 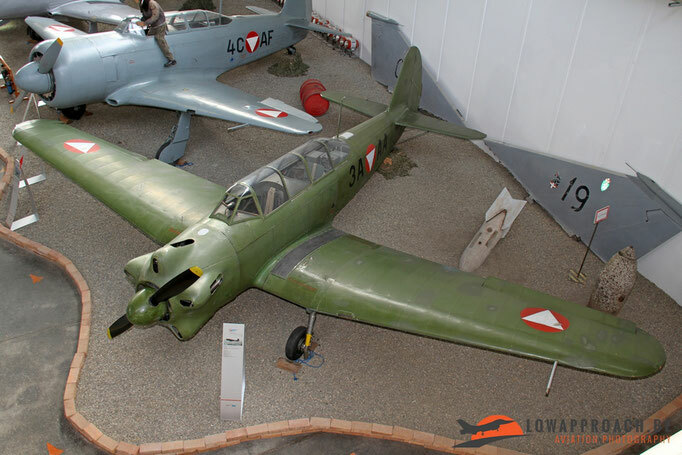 In the same period Austria purchased an additional 62 training and support aircraft, including North American T6G Harvard and Cessna L19E Bird Dogs from the United States, Saab 91D Safirs from Sweden, Zlin 126 Trener from Czechoslovakia and Fiat G46-4Bs from Italy. 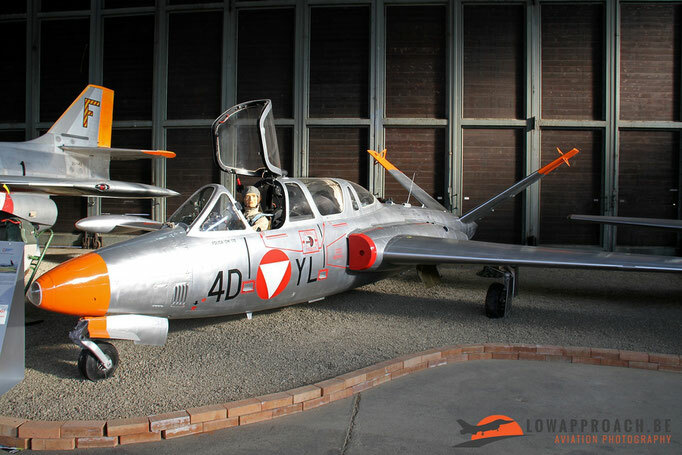 The first jet in Austrian service arrived in 1957 when a number of De Havilland Vampire trainers arrived from the United Kingdom, followed by the Fouga CM170 Magister delivered in 1959 by the French. The first real fighter aircraft arrived in 1960 in the form of a batch of second-hand Saab 29 Tunnans, which were already outdated in those days. In 1970 Austria became the only export customer for the Saab 105 when 40 aircraft was acquired from Sweden. Austria had the intention to deploy this aircraft in the trainer, reconnaissance, interception and ground attack role. 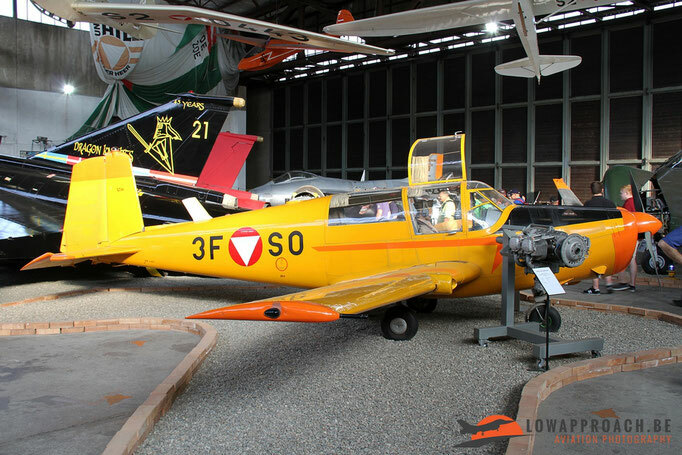 In 2016 this aircraft is still in service, but nevertheless one example, wearing a Tiger colorscheme, is already preserved at Zeltweg. 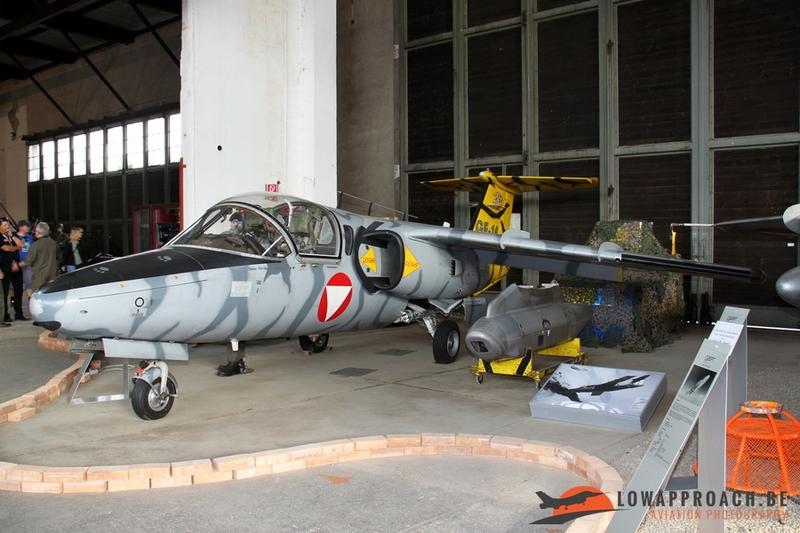 In the 1980s it became clear that the subsonic Saab 105 was inadequate for air combat and airspace interdiction and in 1988 Austria purchased 24 overhauled Saab 35 Draken aircraft from Sweden to supersede the Saab 105 as the main interceptor. 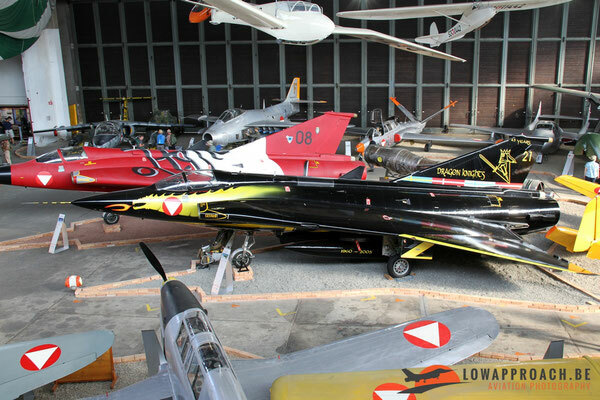 The only armament for the Draken in those days was the internal gun. Shortly after the arrival of the Draken they saw their first major use in airspace interdiction when in 1991 a number of Yugoslav MiG21s crossed the Austrian border without permission during the Yugoslav Wars, this called for a review on the ban of guided missiles and in January 1993 a number of AIM9 Sidewinders were ordered in Sweden for the air-to-air role, and French Mistral Surface-to-air missiles quickly followed suit. 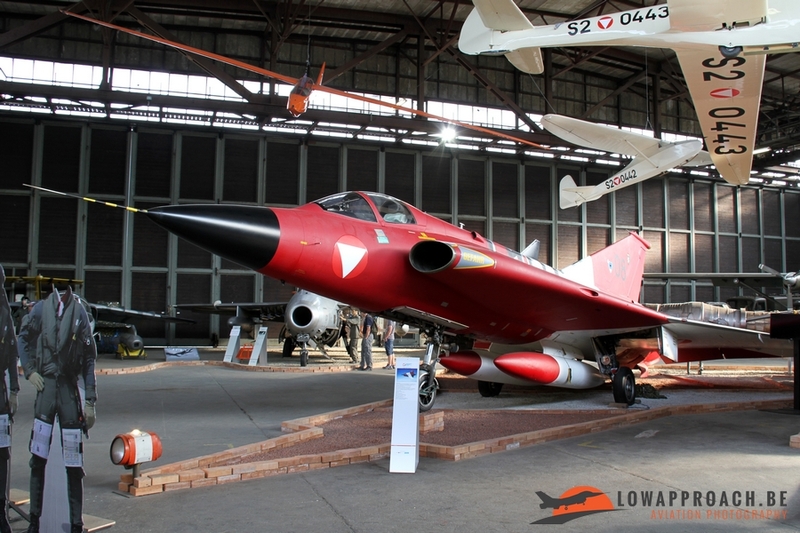 The Drakens were retired in 2005 and replaced by a number of leased Northrop F5E Tiger II supplied by the Swiss Air Force. 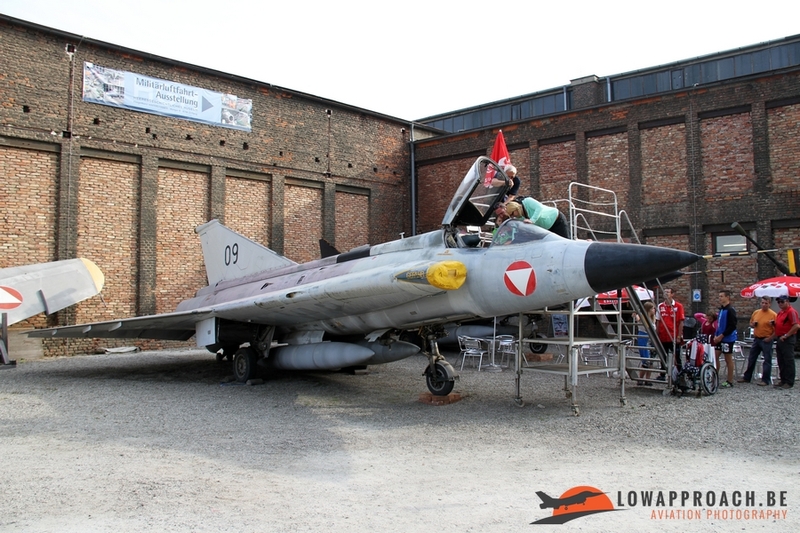 This was a temporary solution until the arrival of the Eurofighter Typhoon in 2007 that had been on order since 2002, and the Tigers returned to Switzerland. Due to its mountainous terrain Austria quickly added helicopters to its military fleet. 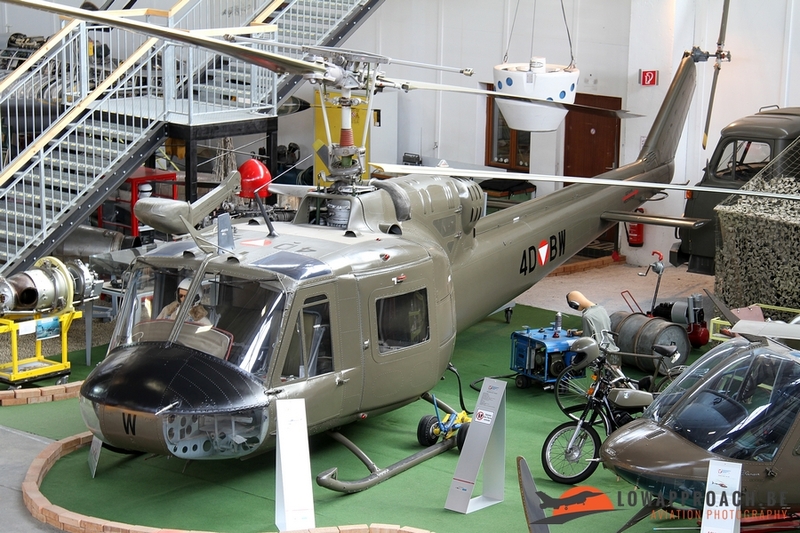 The first helicopter to arrive was the Bell H13 Sioux that arrived in February 1956, followed shortly by a number of Sud-Est SE3130 Alouette IIs and the Sikorsky S55s. 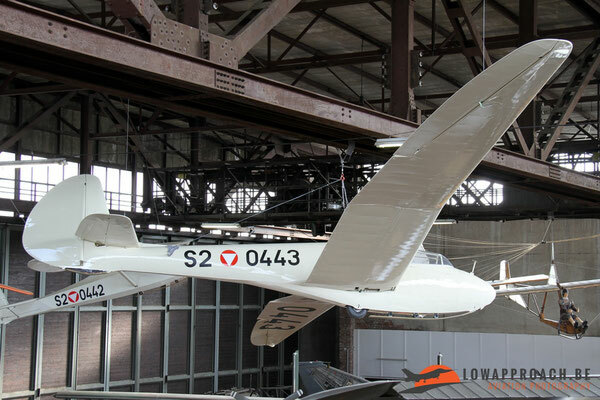 Unfortunately only samples of the first two are preserved in Zeltweg. 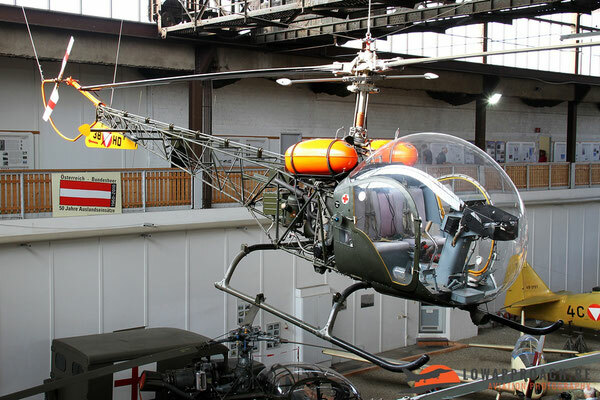 From 1963 these first generation helicopters were replaced by the more powerful Agusta-Bell AB204B and Sud-Est Alouette III, a type which is still in service at this moment. 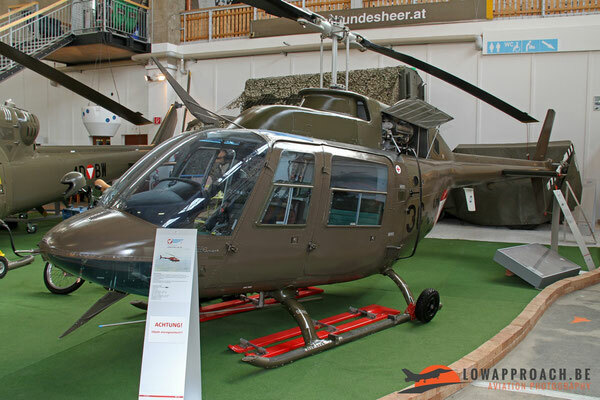 In 1970 the first Agusta-Bell AB206A Jet Ranger arrived, followed in 1976 by the Bell OH58A Kiowa, the military variant of the Jet Ranger, which is still in use at this moment. 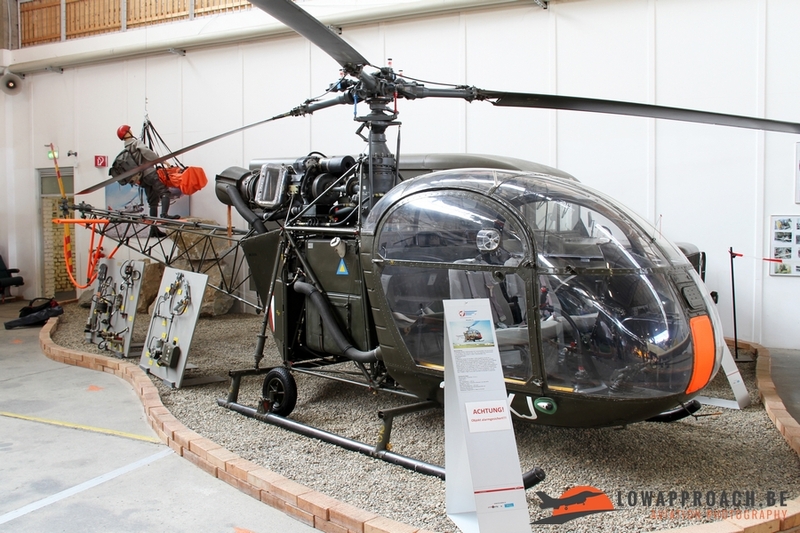 The AB204B was replaced by Agusta-Bell AB212 in the early 90s. Little known to many is that in 1970 Austria also acquired two Sikorsky CH53Ö helicopters for the heavy lift role, unfortunately due to the high maintenance costs, both of these were withdrawn from service in 1981 and sold to Israel. Due to its permanent neutrality the transport assets within the Austrian Air Force were mainly focused on transport within its own borders. 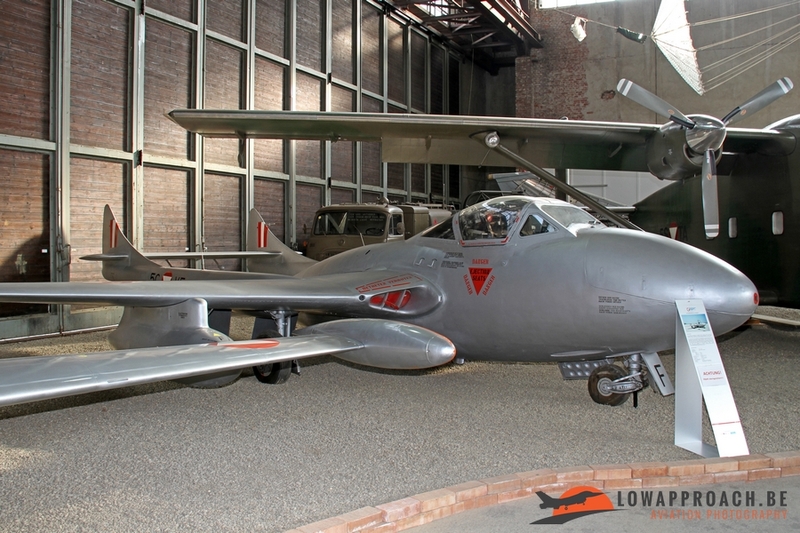 This role could be fulfilled by the large helicopter fleet and a small number of De Havilland Beavers between 1960 and 1983. In 1969 a couple of Short SC7 Skyvans arrived who remained in service until 2007. 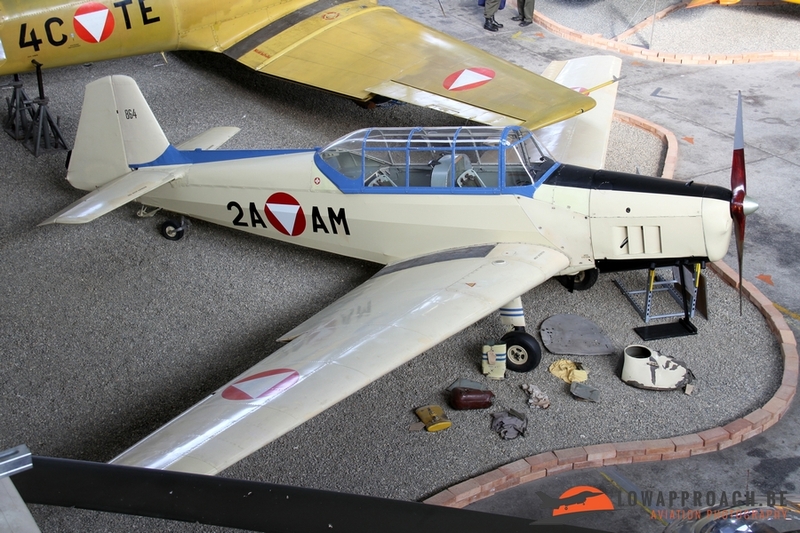 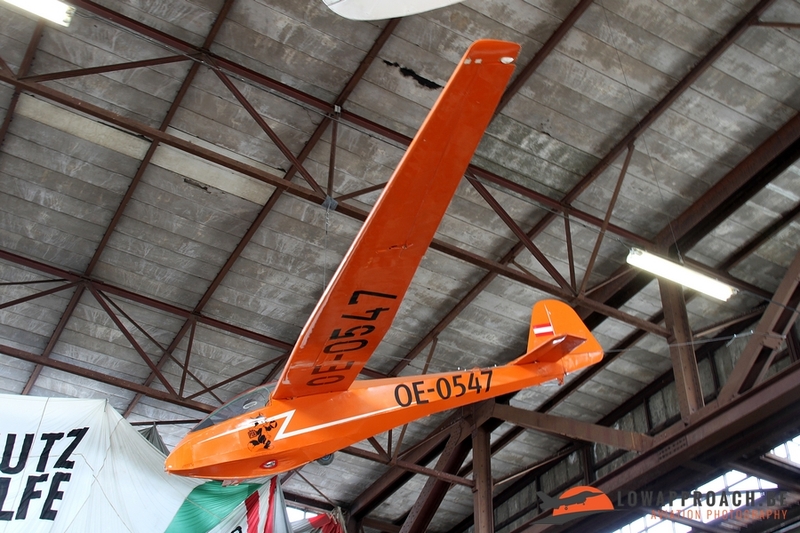 One example of the Skyvan is currently on display at Zeltweg. 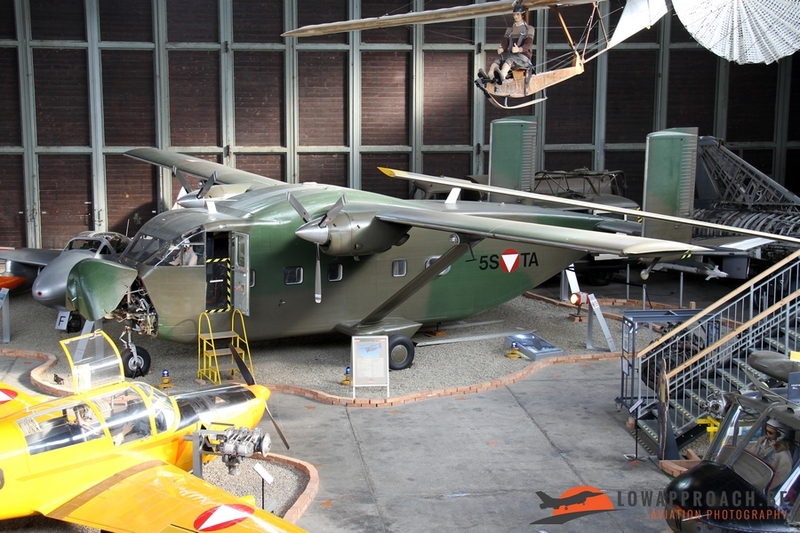 In 2003 Austria’s transport capability was improved considerably when it purchased three former Royal Air Force Lockheed C130K Hercules, these larger aircraft were needed for the UN peacekeeping mission in which Austria play a role. 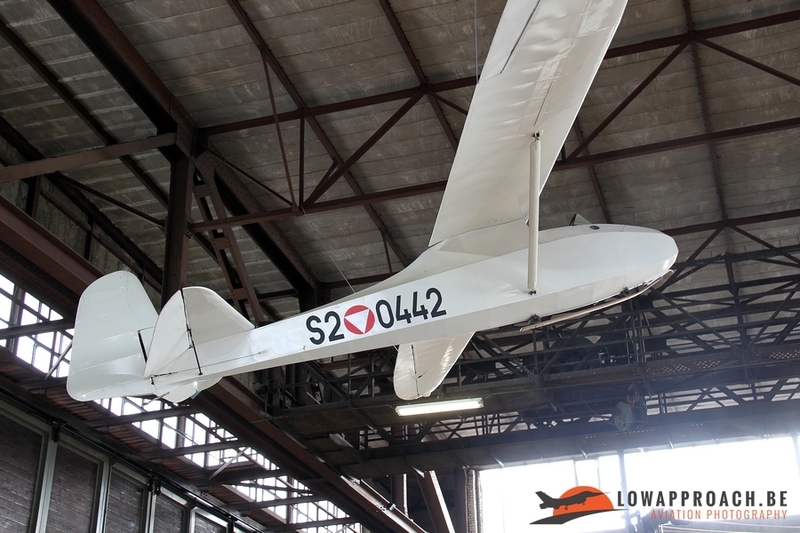 Although overlooked by many visitors in most aviation museums I want to conclude this article with a few pictures of four glider types that are present at Zeltweg, respectively the Schulgleiter SG38, Grunau Baby II, the Musger MG19 ‘Steinadler’ and finally the Scheibe L-Spatz. 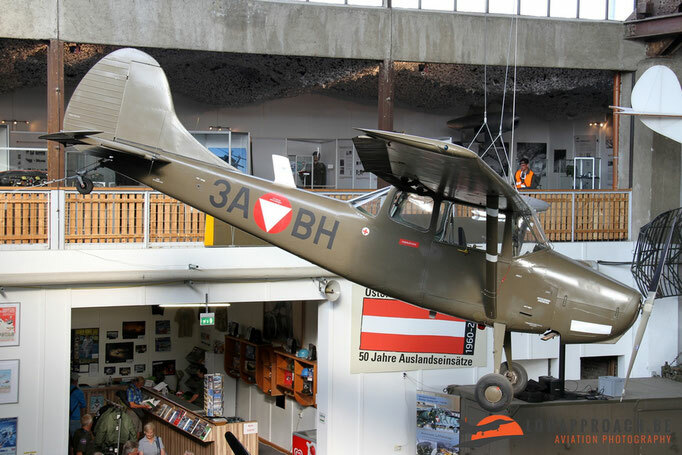 The museum at Zeltweg is certainly worth a visit when you are interested in military aviation as it does have a number of types that are not often seen, and certainly not in military colors. 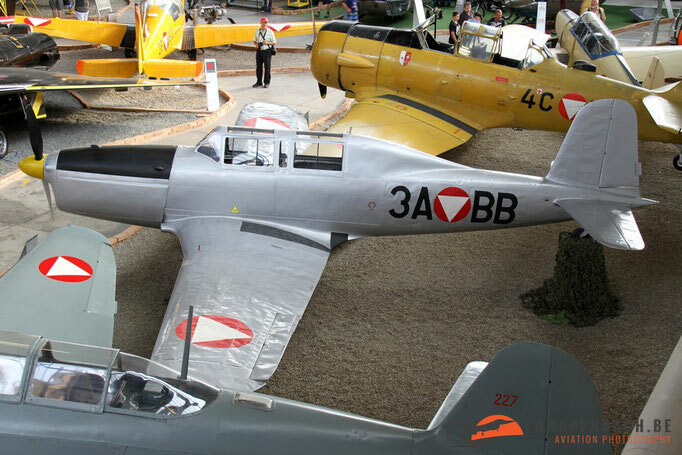 It’s not very large, so in about an hour you have seen virtual all exhibits. 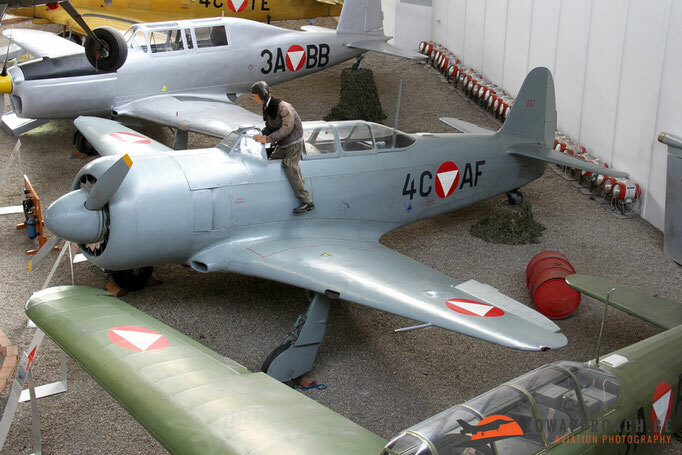 Please be aware that over the winter period the museum is closed, so check the exact openings on their website. I certainly will pay them another visit… most likely during the next Airpower airshow at Zeltweg !